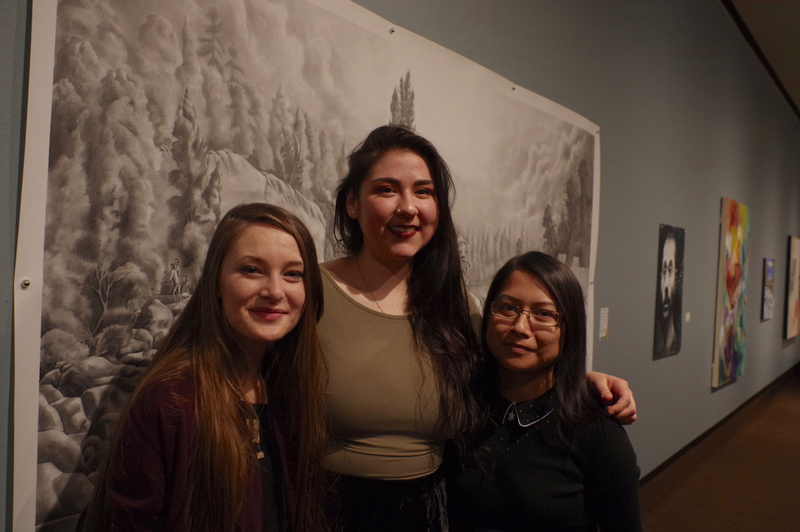 Lakehead University visual art students Mary McPherson, Shelby Gagnon and Lucille Atlookan were presented with 11 awards in total at the Lakehead University Annual Student Juried Exhibition Opening Reception and Awards on March 9 at the Thunder Bay Art Gallery. Photo by: Rick Garrick. Three First Nation artists were highlighted with 11 awards at this year’s Lakehead University Annual Student Juried Exhibition at the Thunder Bay Art Gallery. Couchiching’s Mary McPherson received seven awards during the March 9 Opening Reception and Awards presentation, including multiple awards for her Scene of My Elders Emerging from an Inauthentic Past art piece. McPherson adds that her art piece features her and her relatives all holding a document that was significant for them. Eabametoong’s Lucille Atlookan received three awards for her art work during the awards presentation. Atlookan’s charcoal portrait of her late grandmother, Goo Goo, was recognized with one of her awards. Atlookan says she uses her art as a healing tool. Aroland’s Shelby Gagnon received one award for her art during the awards presentation. All three artists are involved with Definitely Superior Art Gallery’s Neechee Studio, which provides a free space for Indigenous and other youth to create art in an inclusive environment. Louise Thomas, owner of Ahnisnabae Art Gallery and a member of the board for the Thunder Bay Art Gallery, presented the Roy Thomas Family Award to McPherson. 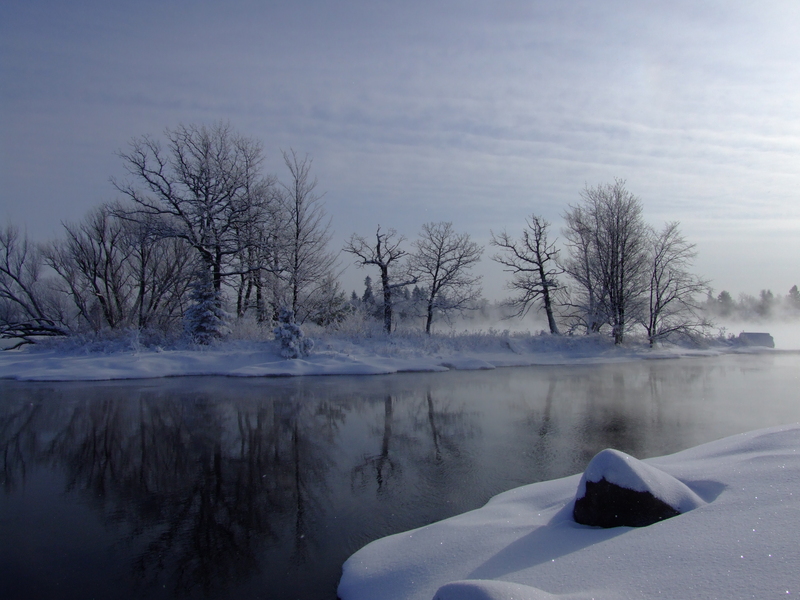 The Lakehead University Annual Student Juried Exhibition runs from March 2-25.